I Always Apply Sunblock but Why Do I Still Get Pigmentations? We have heard so much about the importance of sunblock and how important it is not to leave home without it. All the facts about the aging effects of UV rays and how sun exposure can damage the skin are enough to scare us into applying our sunblock religiously. But if you are already slathering on sunblock every day and is still plagued by pigmentation issues, you may start to ask yourself why. Haven't I already taken all the precautionary measures to keep those pesky spots at bay? So why do I still get pigmentations even when I follow a strict skincare regime? The truth is, although sun exposure is one of the well-known causes of skin pigmentation, it is definitely not the only one. 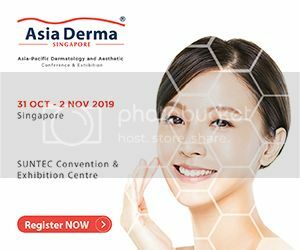 We are glad to have Dr Celine Leong from Astique Clinic with to clarify our queries regarding the formation and treatment options for skin pigmentations. Watch the video to find out how.